Are you confused by the sheer amount of articles telling you to produce more content marketing? Do you wish there was a nice, simple, no-BS list to use and implement in your business? Great, because this is exactly what I’m going to show you in this article. Feel free to cherry-pick the best ideas and have a blast! The tips I’m going to show you are the exact same ones we use for our new clients and are the foundation in which we produce content for them. This list sets things up nicely to help you go from content beginner to pro in less than 30 minutes. Whenever we start working with a brand-new client that hasn’t got a content marketing play built, we start off with this list to get the ball rolling and gather some quick momentum. First things first: Let’s get you organised and at least looking like a pro. 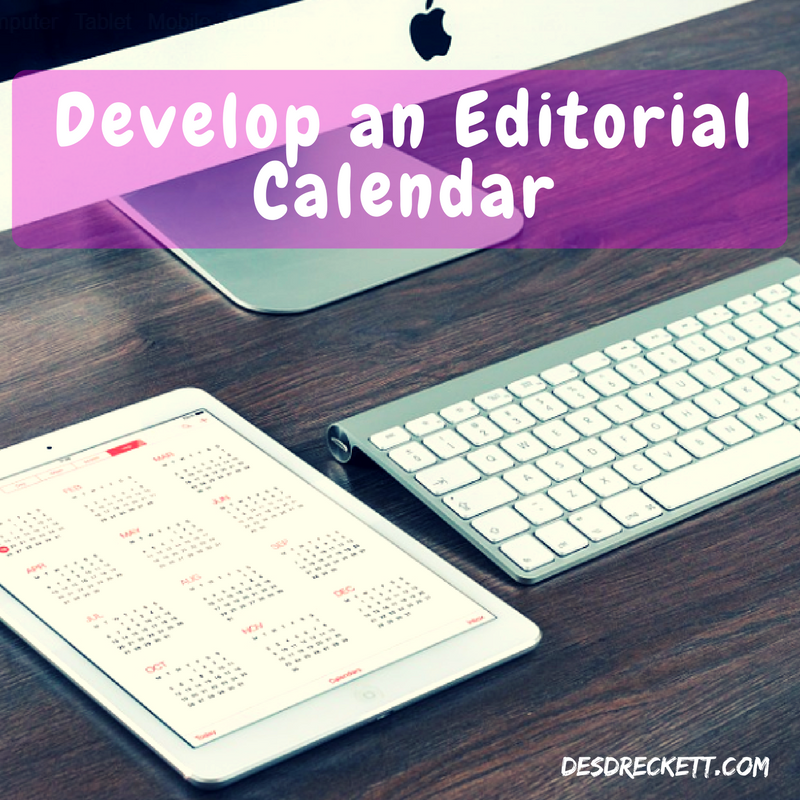 You can’t start this content marketing journey until we develop an editorial calendar. This calendar is based on your content strategy – do you plan on writing blog posts, producing video, infographics, etc? Whatever content you are choosing to produce, this must be listed in your editorial calendar. This doesn’t necessarily need to be brand-new content. It could also be repurposed content (i.e. producing an infographic from a popular blog post). Depending on how large your team is, you need to list which members of staff have been assigned to a particular task or project. Most of these tasks will require further research, so time in the calendar needs to be assigned to thorough research of the topic (gathering statistics, data, graphs, etc). Break your calendar down into section milestones, for example, have daily, weekly, monthly and quarterly sections. Figure out which type of content works best with your buyer-persona and what type of keywords you will be targeting. This will help with your organic SEO. The dirty little secret is out! How do we come up with idea after idea that is both fresh and new? By nature, we are visual creatures and prefer to see ideas in image form. It has been universally proven that mindmaps can help you with your problem-solving. Mindmaps help you quickly get over the initial panic-instinct of your brain when you are confronted with a problem to solve. In the video above I’m using Mindmup to craft an article idea about Inbound marketing. Mindmaps help you stay calm and come up with multiple ideas in no time at all. So, how can you use them for new content? First, start off with a title (this doesn’t need to be the final title) but just a general idea of what your article is about. The most popular and straightforward content to write are generally “list” or “how to” type content. Where possible, I always try to back up my statements with statistics. Really knock the ball out of the park with up-to-date statistics like I did with the Mindmap visual explanation I gave you earlier. For the most part, your readers will agree and acknowledge that you know what you’re talking about. Don’t know where to get stats? When your prospective client is carrying out a search on Google, nothing motivates them more than trying to find a solution to help their pain. Now, when I say “pain” I don’t necessarily mean a physical pain -it could be a variety of reasons. Here’s a few you might find interesting along with content I would provide them. 1 – If they don’t get one soon the grass will grow too long. Research 10 economy lawn mowers (from several different websites, video reviews etc). If you are a local garden centre or lawnmower retailer, the chances of your local client purchasing from you are pretty high when you craft your content in this way. You might be wondering why I suggested providing a link to Amazon. If you don’t have that particular lawnmower in stock and the client needs it now, they will probably purchase from Amazon (via your link). You didn’t have what they wanted, but you suggested an alternative. If that client is looking to purchase more items, who do you think they will Google first? Always link to a competitor as an alternative – you may think you’re promoting them but you are not. Your client will generally hunt around several websites before making a decision. The fact that you are mentioning a competitor will be respected and appreciated by this client. Write a generic carpet cleaning blog post based on “why people need to get their carpets cleaned” and how many germs and bugs are found in your carpet. If you have 10 areas, then write 10 separate article (all around 1000 words minimum. Make sure the keyword your client is searching for is in the title and a few times throughout the article. Ensure you have pictures and each picture has the relevant alt tags for each area. Get an infographic printed for each area (no need to produce 10 different infographics, simply change the area names). Post these articles out on each social media platform you have signed up to. Send them out periodically every week. Get backlinks back to your articles by doing email outreach. Produce Youtube videos showing how you clean stains or get carpets clean. You get the idea… I chose 2 random niche businesses that have clients that have a specific pain they need to fix. You need to produce content that provides a remedy to their problem (ideally your product or service). Don’t forget, whatever content you produce, it’s never about you and your brand, it’s always about the client and helping them with a problem. Most articles and videos are boring (even if you’re interested in the content) – try telling a story at the beginning of them and make them personal. For example, at the beginning of this article, I tapped into your pain points about producing content and then told you a very short story about using these tips for our clients. Granted, this was a very short story but they don’t have to be very long. All you need to do is set the scene. Images are now the basis of a good content strategy – they get shared more on most social media platforms. 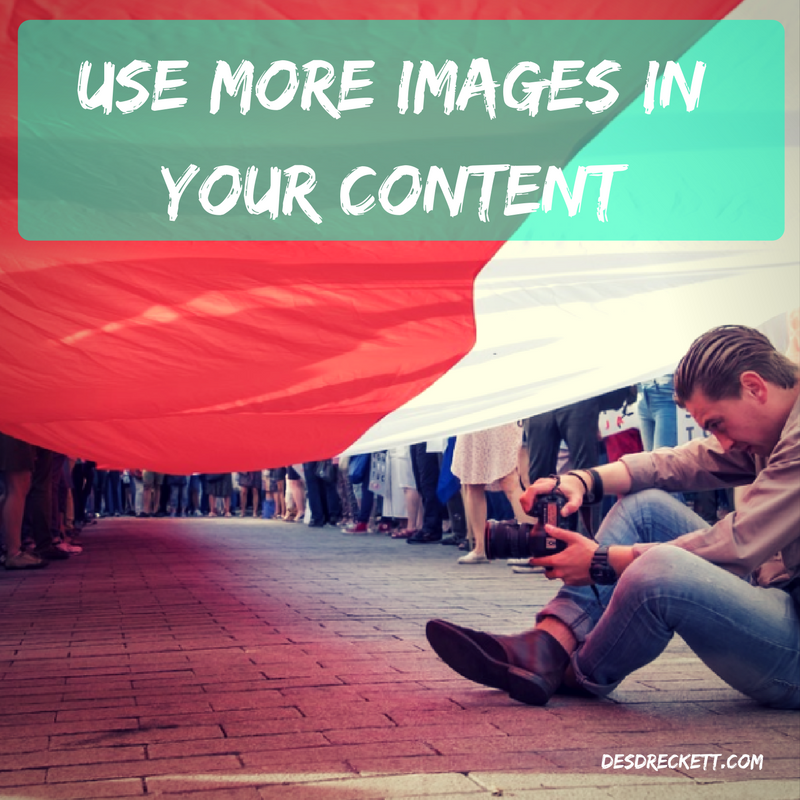 If you’re going to use images, make sure they are visually appealing and are “micro content”. This means that the image is able to tell the story without any text explanation. We are increasingly seeing more images shared without any text at all. I think that the next generation doesn’t want to feel like they are being sold to and for this reason, we have stopped placing our logo on some of our images and are reducing the amount of text too! This is one of the most underused tactics used by small businesses. We encourage our clients to make full use of existing content. Make sure the content you produce is evergreen (will last the test of time). Dig into your Google analytics and see what content is popular. Produce webinars and video tutorials from popular blog posts. Make long professional guides from popular blog posts. Add case studies to old content (before and after pictures/videos). Produce a Power Point from popular content and upload to slide sharing sites like SlideShare. Produce a downloadable eBook from your content. Produce an infographic and share on social media (particularly Pinterest). Copy and paste parts of your article into Quora or Yahoo answers when replying to a question (make sure you link back to original article). Produce a newsletter from existing content. Produce a podcast from your content (doesn’t have to be long). Turn a blog post into a video (perhaps use the slides you created before). Hire a voice-over (maybe from Fiverr) to produce audio of your blog post, produce a podcast and submit to podcast directories. Now, this is something we’re just about getting to grips with ourselves – a lot of our old content just doesn’t look that good on Mobile. 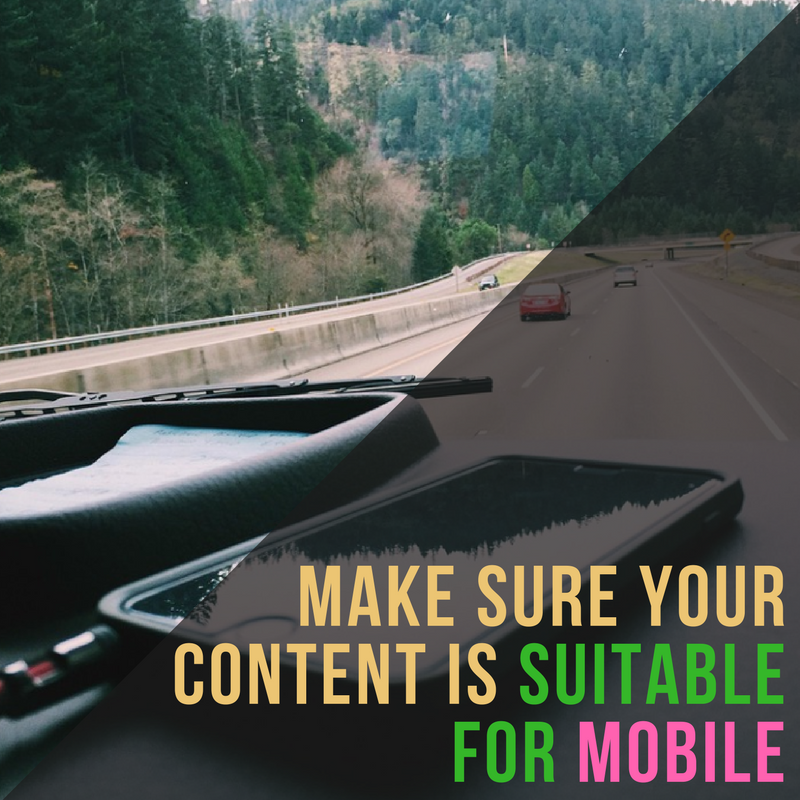 Check to see if your content looks good on mobile. If it doesn’t, you need to fix it. Take a look at this website on Mobiletest.me. This will show you what your website looks like on multiple mobile devices. It’s a site we like to show potential clients when prospecting for new web design business. How do you use it? It’s quite simple actually…. If your website doesn’t look good or you have to pinch the screen in or out to resize it at all, you need a more responsive design that resizes to any screen size. This piece of software is pretty much a revelation for me and my business in 2017 and it could be for yours. How can Grammarly help you? Put simply, this cool piece of software is a spell- and grammar-checker that can be used in conjunction with a wide variety of different document types from WordPress to Microsoft Word. It suggests different ways to word things and also suggests where to place comments, when to use an apostrophe, etc. You have the ability to accept the correction, add your version or simply ignore the suggestion. The great thing is, the software learns from what you have edited previously and doesn’t suggest the same thing further down your article. If you or your team write a lot of content (which you should be), you simply can’t do without this clever tool! If you want to increase engagement on your articles, infographics or even videos, you first need to start engaging with the person consuming your content. At the end of your content, ask a question of your audience – ask them their views and/or ask for a comment. There’s no harm in asking. 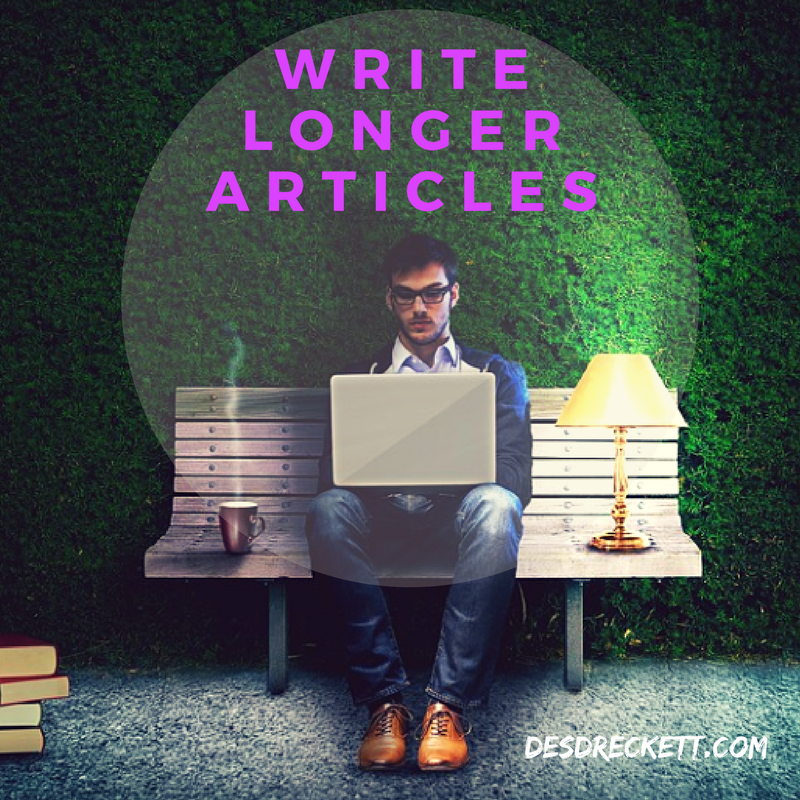 Did you know that longer articles get more shares? Neil Patel did an experiment which showed that blog posts with over 1200 words got more shares and more leads. Marketing Experiments conducted a study of short copy vs long copy. They found that conversions were much higher with long copy. You need to be increasing the amount of copy for your articles, blog posts, etc. This is great for search engine optimisation (SEO) and Google is much keener on rewarding well researched, well-written content that delivers on what the title says. The article is also likely to be found for a greater number of keywords in the search engine results pages (SERPs), especially if you have used good formatting like H1, H2 tags and the article has multiple semantic keywords. Did you notice that I didn’t say publish every day? Writing every day gets your juices flowing and your writing muscle fully exercised. Some of the stuff you’re writing today will either never get published, get published in a few weeks or even months from now. The important thing is to write every day. In today’s fast-moving world, it’s up to you, your business and your brand to produce content your clients and customers will love. If you’re smart, you’ll repurpose that content and produce videos, infographics, graphs, statistics, white papers, PDF’s. It all starts with your content! It’s so important to write in a language your readers will understand – getting to know their buyer-persona is key. otherwise, your content will be just one big turn off. If you are writing content for millennials, your language needs to be a bit more relaxed, analogies need to be relevant to this demographic and the words, terms and phrases need to match the way they speak. When writing for an older generation, the language needs to be a bit more respectful, restrained, factual and relatable to this audience. If you haven’t got Google Analytics installed on your website, slap your own wrist and hang your head in shame…! In the year 2017, every single site owner should know the very basics of what is going on with their website. Finding out which campaigns brought in the most traffic. Which area your visitors are located. See what they are clicking on and where they are navigating to. Find out what your most popular pages, posts and overall content are (this is so important). Identify the pages and posts that aren’t performing (improve them). If you have an e-commerce site, you can find out stats on cart abandonment. How well your site performs on different browsers, devices, etc. 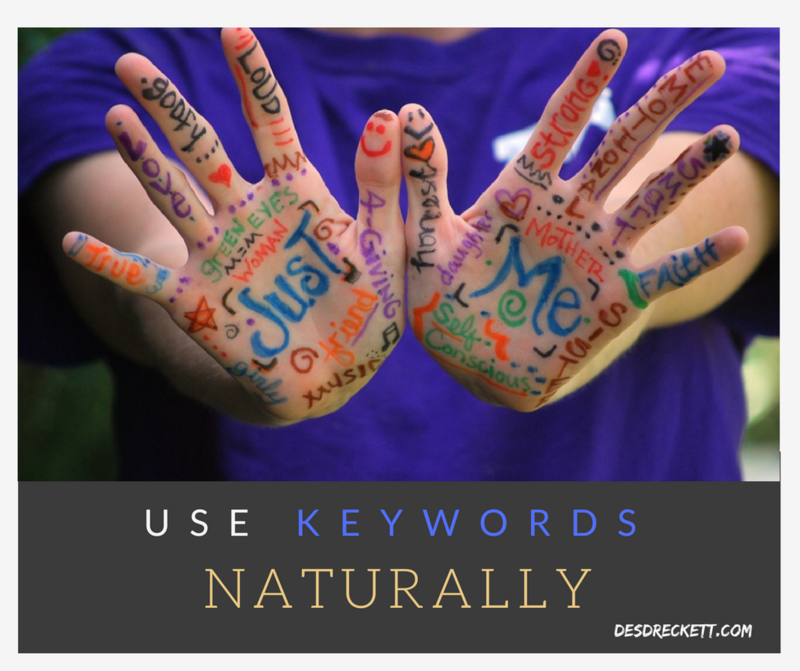 Ok, I get it… You now know which keywords you need to use in your article and you’re on a mission to ensure that they are spread all the way through your content. Now, this is alright… Just make sure it’s done naturally. People read several articles on a daily basis and their BS detector is constantly on high alert. Trust me, people know when you’re blatantly trying to sell them something – mentioning your keywords in an unnatural way or too many times is a huge turn-off. In fact, you can get away without even mentioning the keyword once in your content, as long as it’s in the title of your article. Search engine algorithms are so smart these days, they can kind of figure out what your article is about based on the words you’ve written and whether they’re related to the keywords you’re targeting. I mean interlinking words/phrases to previous articles you have written. This tells the search engine that the linked content is 100% relatable to that word or phrase and that your reader should check it out to further find the meaning or explanation of the point you’re trying to get across. It’s not only part of SEO 101, it’s also a good way for your reader to discover your other content. I often go back to old articles and add additional internal links to more recent articles. This ensures ALL my content is well spidered (gets updated in the search engines regularly) and means my content is up-to-date and relevant in Google’s eyes. 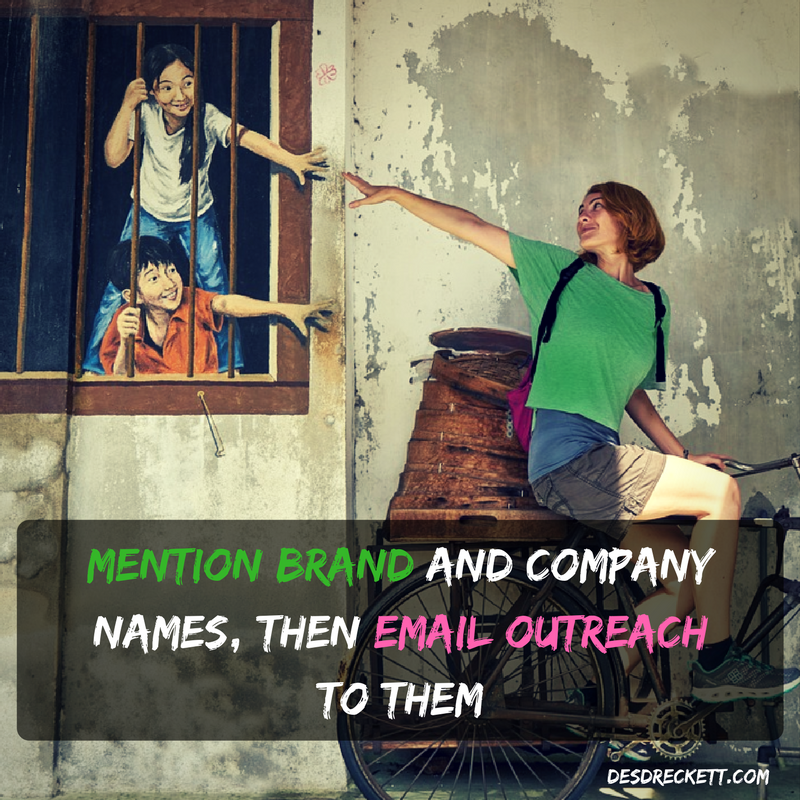 This is one trick that seems to get overlooked by many company blogs. They’re so interested in blogging about current topics, it puts pressure on them to produce this type of content on a regular basis. For this reason, many company blogs run out of energy and passion for keeping writing up-to-date content. 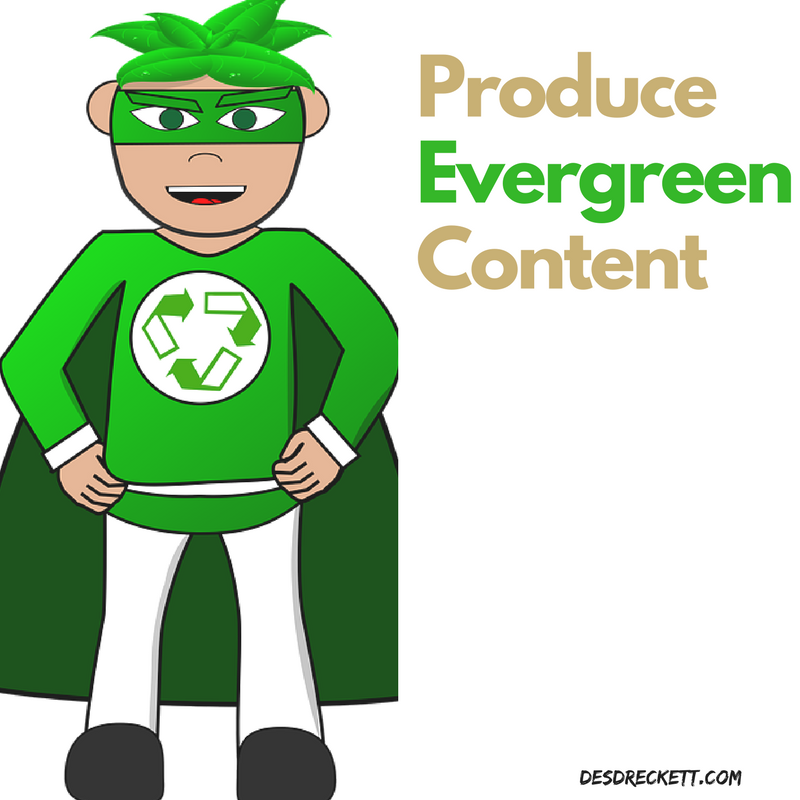 Producing evergreen content is the answer. So, what do I mean by evergreen content? A cleaning company would write about the importance of keeping things clean. Reduce bacteria, disease, etc. A printing company would write about the importance of marketing your business using direct marketing methods (leaflet drops, mail shots etc), otherwise, you’ll stop growing. A local hair dresser would write about the importance of using the correct shampoo/conditioner on your hair and carrying out skin tests to make sure you aren’t allergic to new products on the market. A plumber would write about the importance of bleeding your radiators before winter, as they may not function properly when you start using them again. A gas engineer would write about the importance of having your boiler regularly serviced, since not servicing it will cost you more in repair bills in the long run. I think you get the general gist? The topics I’ve listed are all based on evergreen information that can be written about today, tomorrow, next year, in five years – It will always be relevant. Did you notice that I also targeted pain points with regards to the content each of these industries should be focusing on? 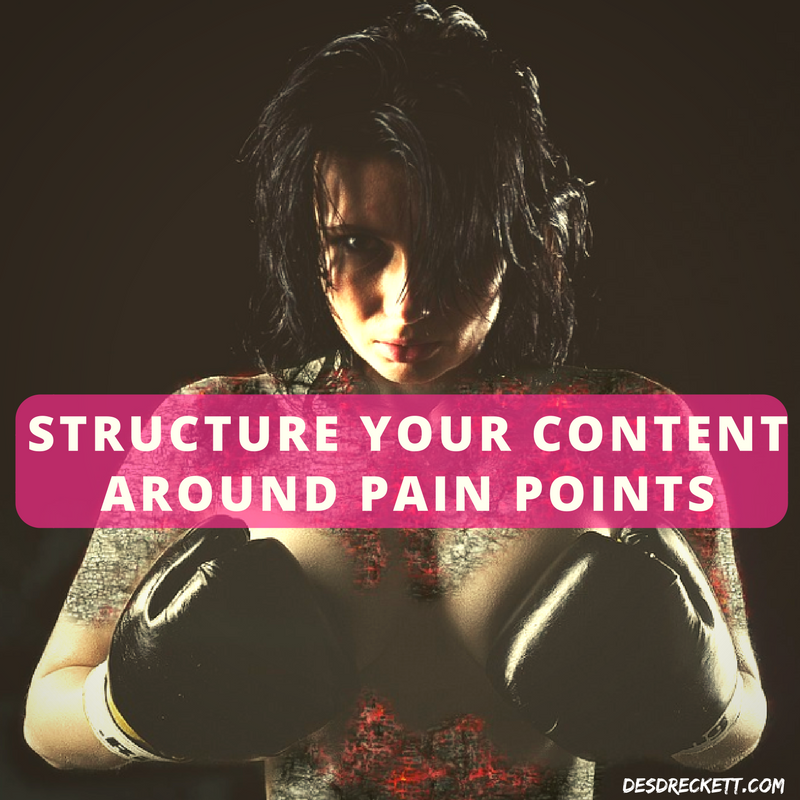 This is really important – you tap into the pain points and then provide a solution via your content. Now, when I say ‘reach out to brands’, we’re not talking Nike and Starbucks here… Best of luck trying to get a response out of them…! No, I’m talking about smaller companies and brands within your community. If you happen to mention them in an article or you say something in a video that relates to them, go ahead and send them an email or hit them up on Twitter or Facebook. Where possible send them a link to your piece and wait and see what happens. With any luck, you’ll get a nice message back and they may even include your link on their website or make it part of their social media posting (you never know). When producing content for your marketing, it’s easy to forget that you need to focus all of your efforts on your reader. I say your reader because that’s who you are writing to/for. In fact, writing as if you’re talking to a friend, just like talking into the camera to a friend, is good practice. It keeps both your mind and your content laser focused on your readers. Unless you’re producing a personal blog each day, your readers aren’t necessarily interested in what you think – they are more interested in “what’s in it for me?”. To keep coming up with fresh content on a daily basis, as well as sharing it to all of the social networks, isn’t easy. The trick is to syndicate it and change it up a little to relate to your demographic for a platform. For example, images that work really well on Twitter, such as detailed and informative infographics, just don’t work on platforms like Instagram. It’s simply too small to see and your followers are used to taking in bite-sized chunks of information instead of taking the time to study your infographic. So, what we do is create bite-sized bits of an infographic and go to town on that one topic. Text is hard to read, so the headline, slogan and blurb need to be HUGE! 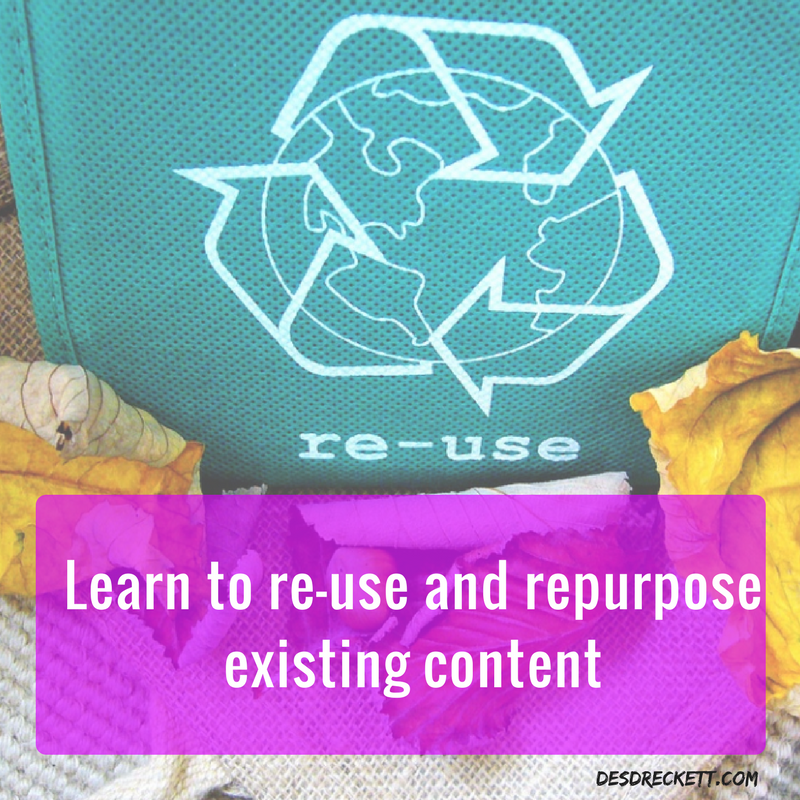 You’ll find that you will be able to create as many as 10 pieces of content from one infographic if done correctly. Make sure each image is unique, original and on topic. This can also be done for short video clips posted to Youtube to individual slides posted to sites like SlideShare. 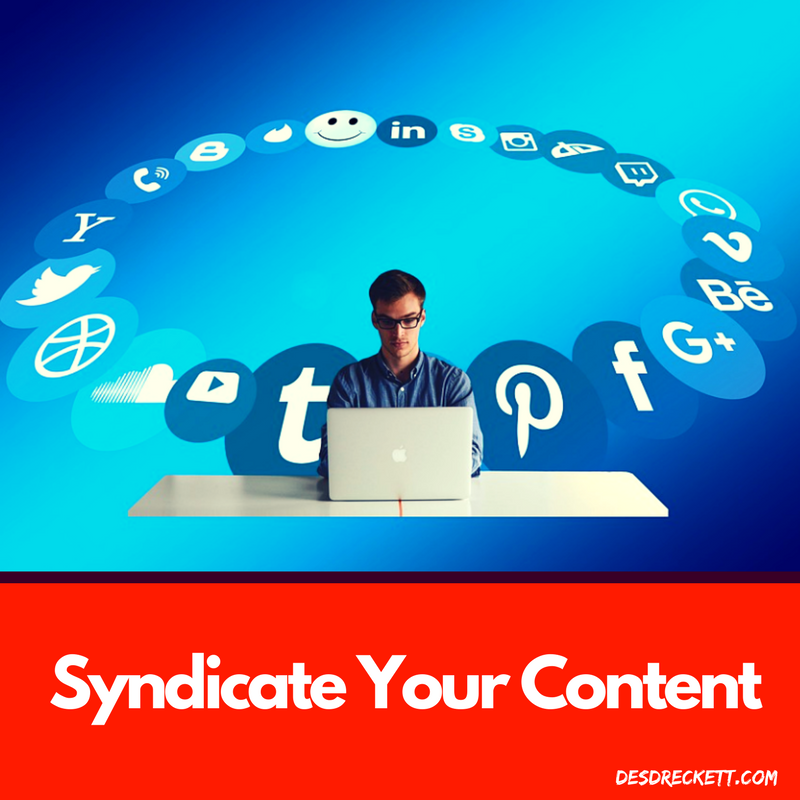 The world is your oyster when it comes to syndicating content – you are only held back by your imagination. One way of doing this effectively is answering topical questions on sites like Yahoo Answers and, more specifically, Quora. Simply do a search for relevant questions in your niche or topics of interest and start answering questions asked by other people. Important tip: make sure you have filled out your bio completely and that you have a link back to your website! As you start to answer more questions, you’ll start to be seen as a maven in the community. People will start to show more of an interest in you, other questions you have answered and even take a look at your website. Without being too spammy, you can even link back to different parts of blog posts, images, infographics, videos, etc. Are you starting to see how your content can be managed to propel either your company, personal or corporate brand? 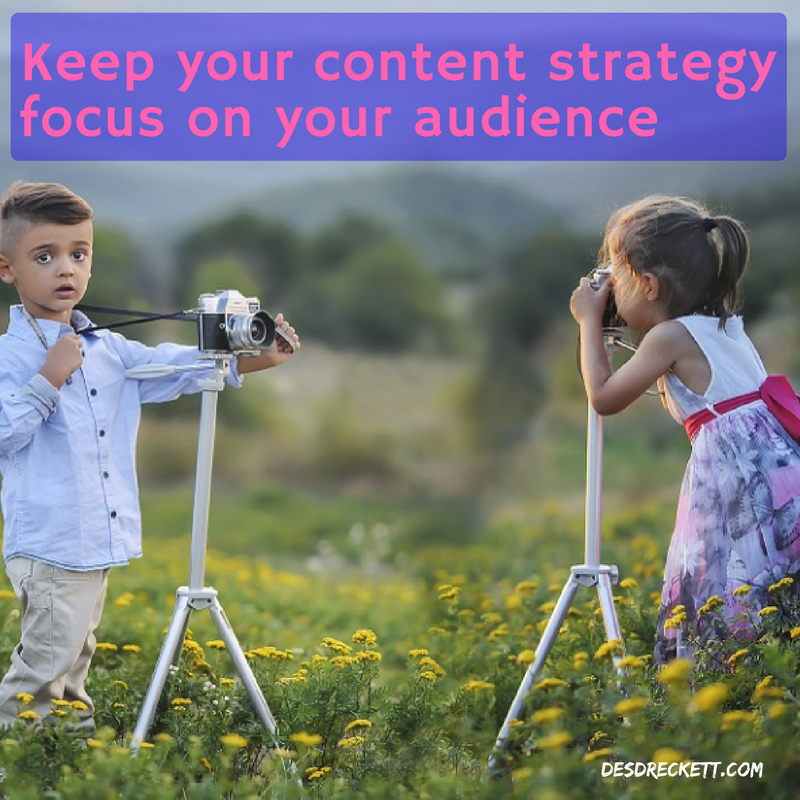 I’ll hold my hands up – I don’t do this nearly enough… It’s always been my strategy to concentrate on my own channel (this blog) to get my content out there. It’s something I think you should try, though. The reason we do this is many of the shows have been designed to leave a cliff hanger right at the very end, which entices us to watch the next episode. 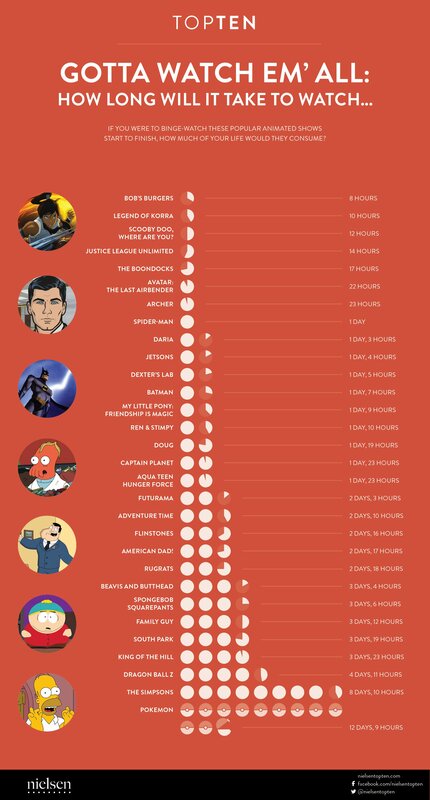 Netflix also makes it super simple to do this by auto-playing the next episode with a countdown sequence. You don’t even need to press a button and it will play automatically…! There’s no reason you can’t do the exact same thing with your content marketing strategy. 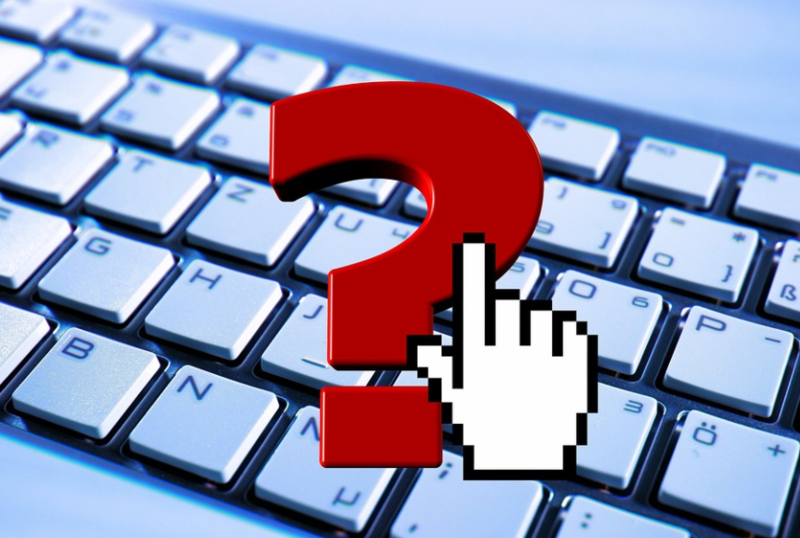 At the very end of your content, leave a question unanswered and name it part 2. This can be done with blog posts, videos, podcasts, you name it. Hmmm, what do I mean by this one? If you have a look at the big players online, you’ll find most of them actually upload their images, infographics, videos, etc. via separate hosting or in the cloud. They do this to ensure the page loading speed is much faster. Every time you view a new web page online, it needs to download every element of that page, including text, images and videos. 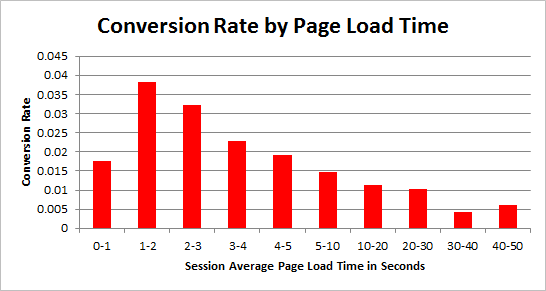 The longer that page takes to download, the less likely your potential viewer is to stick around. Very slow sites are a bad user experience – and Google is all about good UX these days. As you can see from the graph above, the likelihood of your visitor sticking around to read your article, browse your website, watch a video or listen to your podcast is extremely low, the longer your page takes to load. That’s why you generally host large and bulky content like images with a 3rd party instead of uploading to your website’s server. You may even find that you are already subscribed to one of these services. If you are, great! If not, then the pricing of these services is quite low (even if you need to upload a lot of images)! As you can see, there are several elements behind the scenes of creating really great content for your audience. Planning can take days, weeks or even months before you pull everything together to create your own masterpiece. I haven’t seen many content marketers using the “series” strategy where you leave the audience hanging until your next instalment. Where possible, produce several different content types within a series to keep your audience guessing. They’ll also keep coming back for more. If there’s one takeaway from this article. 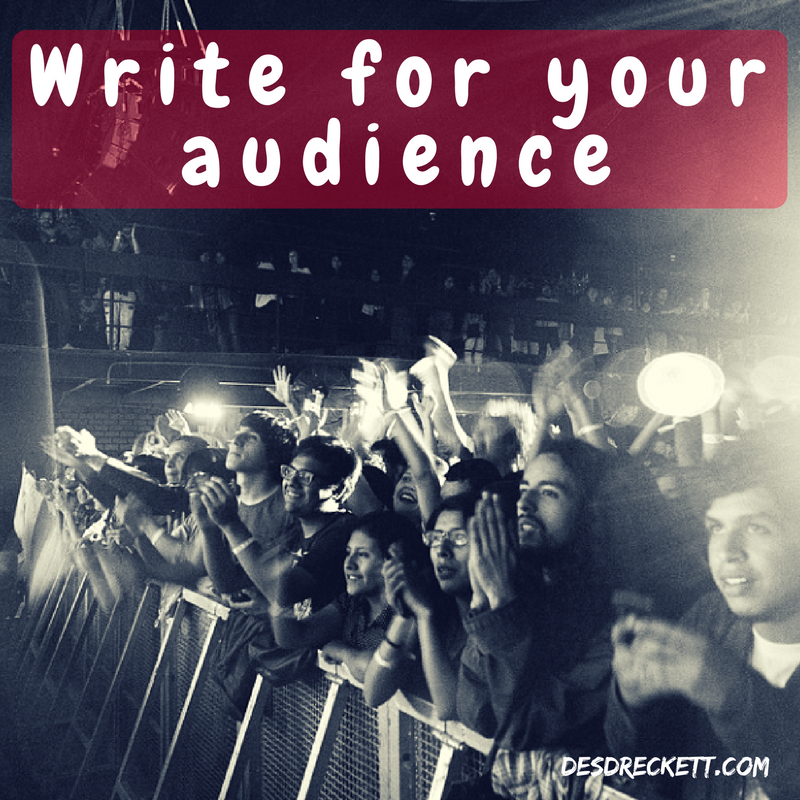 It’s producing content for your audience instead of yourself. Find out their interests, the language they speak and the tone. So what do you think? Are any of these hacks useful in your business? Have I missed any out and what is working for you right now? Feel free to bookmark this post for future use.